A neck lift is an elective cosmetic surgery procedure with Dayton cosmetic surgeon Dr. Raymond Wolf that treats sagging jowls, as well as fat and loose “turkey-gobbler” sagging in the neck, both of which are signs of aging. Healthy men and women who are concerned about sagging in the neck area are good candidates for this procedure. It’s important that any patient considering a neck lift procedure have realistic expectations as to results. Although dramatic improvement can be made in the neck and jowls, allowing our patients to literally “turn back the clock” on facial aging, gravity and time will continue to affect the face and neck. In most patients, a facelift and/or neck lift is repeated about every ten years to maintain results. Can a Neck Lift Be Performed Without a Facelift? Although a neck lift can be performed without a facelift, the result is seldom satisfactory, as it’s a rare individual with sagging in the neck and/or jowls that doesn’t also have facial sagging. However, if your sagging is due to genetics rather than aging, a neck lift can be performed without a facelift. For many Dayton neck lift candidates who have inherited a sagging or “fatty” neck, liposuction may be an appropriate alternative to a surgical neck lift procedure. 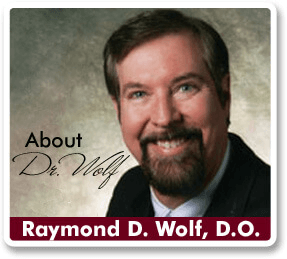 Dr. Wolf will review all your options during your private consultation at his Dayton cosmetic surgery office. Dr. Wolf was in the first group of eight U.S. physicians initially trained by the originator of the Saylan S-Lift Facelift technique. Advances in the MACS lift technique (Minimal Access Cranial Suspension) provide even more dramatic results, and patient satisfaction has been high. This technique provides excellent rejuvenation of both the face and the neck. After introduction of tumescent anesthesia, incisions are made in the neck area and Dr. Wolf lifts the skin to its original, more youthful, position. The excess skin and platysma muscle is trimmed and the incisions sutured. A compression dressing is applied, which you will wear 24 hours a day for several days, to aid in healing and minimize swelling. For some patients, mainly men, a direct excision of anterior neck skin (Z-Plasty) provides excellent turkey gobbler removal and leaves a fine zig-zag scar on the front of the neck that, after healing, is barely visible. Dayton neck lift patients find that recovery from a neck lift procedure involves a feeling of “tightness” in the neck rather than actual pain. Over-the-counter medications, such as Tylenol, generally are adequate to control discomfort. You will have bruising in the treated areas, which will subside in a week or two. You can aid in healing by avoiding strenuous activities which might tighten the neck, such as weight lifting, or even lifting heavy items such as grocery bags full of groceries, small children, etc. Smokers must stop smoking a minimum of two weeks prior to neck lift surgery and refrain from smoking a minimum of six weeks afterwards to avoid complications from tobacco, which robs the body of oxygen and inhibits healing.